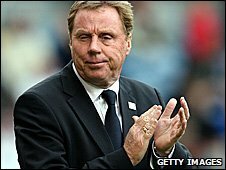 Tottenham boss Harry Redknapp has criticised the timing of forthcoming international friendlies as the start of the 2010-11 season approaches. England face Hungary in one of several internationals scheduled for 11 August, just three days before the start of the new Premier League campaign. "Can someone tell me why you have an international game the same week the season is starting?" asked Redknapp. A Football Association spokesman said the match dates were set by Fifa. After a hugely disappointing 2010 World Cup campaign in South Africa, England manager Fabio Capello has the Hungary game in which to assess his options ahead of the start of qualification for the 2012 European Championships in Poland and Ukraine. Capello's men kick off their bid to reach the Euro 2012 finals against Bulgaria at Wembley on 3 September before travelling to Switzerland on 7 September. "It's an international date set by Fifa, and many other countries are also preparing for qualifiers," an FA spokesman told BBC Sport. "If we weren't to have a friendly in August with two qualifiers ahead, we would be criticised - especially as there may well be some new faces in the squad." Scotland, Wales, Northern Ireland and the Republic of Ireland are also in action on 11 August as are the likes of Italy, Brazil, France and the Netherlands. But Redknapp said the decision to stage friendlies just before the start of the season, and only a month after the end of the World Cup, was not helpful for players or managers in the club game. "They've just been away together to the World Cup. They're probably sick of the sight of each other," added Redknapp, who will lead his side into the qualifying rounds of the Champions League for the first time. Redknapp also criticised his own club for organising a pre-season schedule that he feels could be detrimental to their chances of qualifying for the group stages of the Champions League. Tottenham played three games in eight days on a tour of the United States before returning to take on Villarreal at White Hart Lane on Thursday - a game they lost 4-1. A trip to Portugal to play Benfica and a home game against Fiorentina follow. "It's been busy schlepping around the place," stated Redknapp. "We've just come back from a gruelling trip around America. "It's crazy. And we pile more games in. The last thing we need is to be playing games. "We need to train. I need to get the players on the training pitch because all we do is play and recover. We should be working in training. "Too many games have been scheduled. I don't know whose fault that is. We play too many games. "We play Fiorentina on the Saturday [7 August], which is a nuisance, then they go off and play for their countries," he added. "They're going to have an international week before the first week of the season, before we play Manchester City and then a European qualifier. "I won't see them from Saturday night until Friday before we play Man City [on 14 August], not once. "Why? What's the point of it? A meaningless friendly. The week before the season, when we should be training, working, getting organised for the first game, they won't be here. "How can that be a way to prepare for the start of the season? Then you've got your fingers crossed that not too many come back injured."